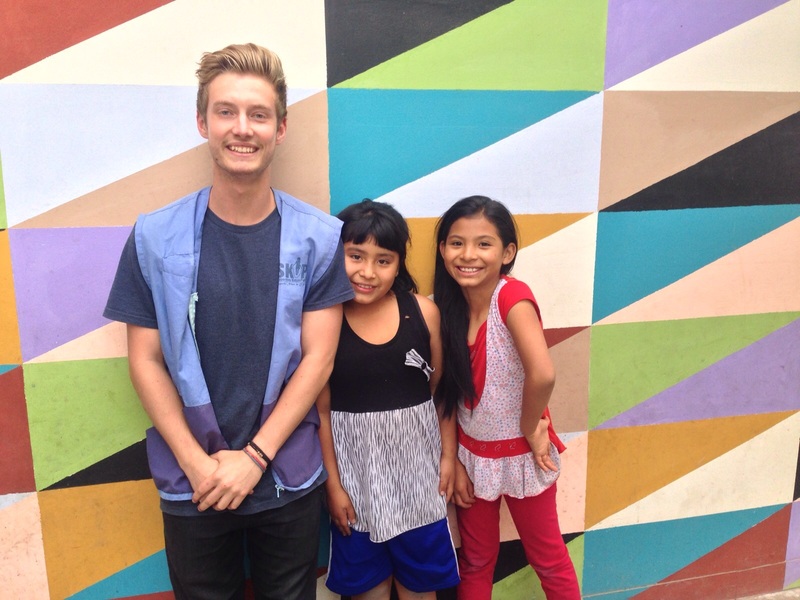 Liam Kennedy graduated from Leeds with a BA in Geography in 2013 and now works for SKIP, an NGO in Peru. Here he discusses the factors that led him there as well as his tips for others. Joseph Soloveitchik once philosophised that within every human there are two contrasting beings. He named those beings Adam I and Adam II. Adam I is an ambitious and worldly type, his motives are mainly economic; he wants to climb the ladder, be powerful etc. Whereas Adam II is more humble, he wants to do good and be good; he follows a more moral compass. He stated that these beings are in constant flux, that the winner of this internal battle guides our decisions. I guess this school of thought is what has guided me through my career choices to this point. It wasn´t quite as eloquently put in my mind as old Josephs but I tried to follow this ilk: To paraphrase David Graeber, avoid a “pointless” job, find something relatively beneficial, hopefully it will allow some career progression and a bit of money. Try to balance Adam I and Adam II. When I think back on the serious of events that led me to my current role, the first step in the process was probably at the end of my second year at Leeds. A friend of a friend talked me into the Leeds RAG Uganda project, volunteering with an NGO called Soft Power Education for one month in Northern Uganda. It was my first real culture shock. When I reflect upon my current inclination for a job that is either international or has the possibility for travel, those 5 weeks I spent abroad in 2012 are probably where it stemmed from. As such, I returned in my third year and led the project. Recruiting, training and leading over 75 volunteers, developing my understanding of how an NGO functions and learning how to effectively fundraise were all skills that became crucial when applying for later roles. When Leeds RAG set up a project with SKIP for the year after I graduated, I guess the name stayed in the back of my head. After graduating in the summer of 2013, I took 6 months off to save money to travel. Our proposed route happened to end in Peru so I got in contact with SKIP; no real expectations, just to see if they had anything that appealed to me. I initially interviewed and was offered the job for a Volunteer Coordinator position, the role was unpaid and had a commitment of 9 months. Their Economic Development programmes caught my eye and I stated my desire to gain as much experience as possible in that area throughout the recruitment process. At this point in time, I had some level of Spanish. I had taken the equivalent of a Spanish A-Level at my school and continued with an optional elective in my first year of University. An elective that I ultimately failed, but I could still hablar un poco Español. It was agreed that I would start in August 2014. When starting my placement at SKIP, I took time to work on my Spanish and learn about the programme. Language and cultural barriers can be confusing and the only way to overcome those is time and understanding. As the months passed, I became more confident and knowledgeable of my environment; I was able to put to use some of the more practical skills from my University courses. For example, GIS to map microloans given out over a 10 year period or qualitative data analysis to interview SKIP beneficiaries and improve the services that we were offering. Eventually, as the end of my placement neared, I was offered a paid position on a rolling contract. So how did I get my job? Know what you want to do. I had no idea until my third year of University, think about the kind of work environment you would enjoy being a part of. Gain skills at University outside of your modules. My experiences with Leeds RAG proved to be invaluable. Keep a long-term goal in mind. Be aware of your own limitations, accept a position that may not be ideal but will allow you to work towards something that is. If possible, can you please explain a rolling contract? I’m interested in working abroad and am trying to figure out many factors, one of those are contracts. Hello, a rolling contract generally distinguishes something from fixed-term contracts (i.e. there is no fixed end date) and may be a certain term rolling contract – e.g. 3 month/ 12 month etc. rolling contract. It is a term which might be applied slightly differently by different employers, and in different countries. So the best thing to do is always check the individual contract terms carefully, regardless of what it is called. I hope that helps.